It has been a rough couple weeks since the City of Los Angeles was rocked by the death of Nipsey Hussle. It hit me hard and I haven’t stopped thinking or talking about Nip since that Sunday. Since his passing, most media coverages eulogized him as an entertainer who just came off a Grammy nomination for Best Rap Album. It’s a meaningful milestone, but that description misses his most important contributions to the city. His music combined stories from the streets with thoughtful insights about personal and community wealth. 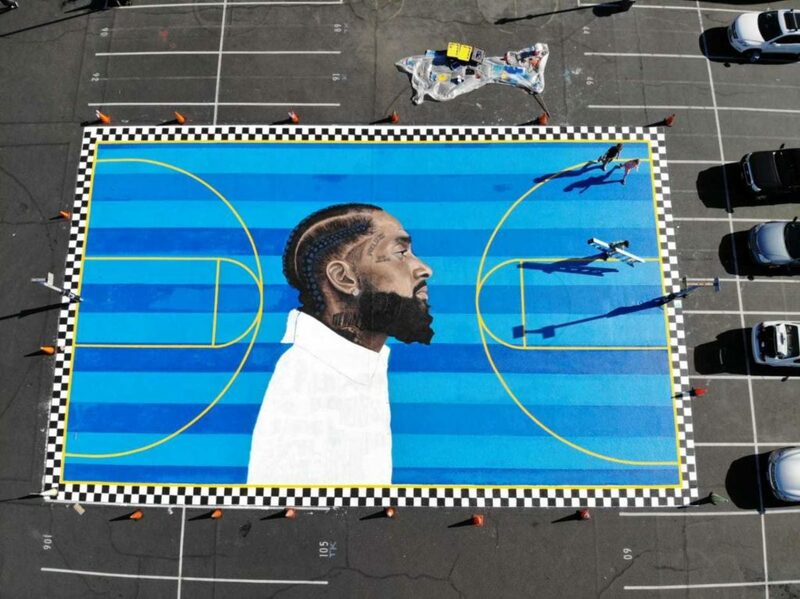 But it wasn’t just talk, Nipsey was a living model for economic development in South LA. Slauson is my favorite street in all of Los Angeles. My appreciation for it comes from what it represents in our community. On one side, Slauson goes straight through South Central LA, an under-resourced area often overlooked for its economic potential. On the other side of Slauson you’ll find neighborhoods that represent the highest concentration of black wealth in the entire country (Ladera Heights, Baldwin Hills, View Park, etc). Slauson is the only street in LA that connects all those communities. But in his early days, alongside the music, Nipsey and his brother sold T-Shirts on the corner of Slauson and Crenshaw, which turned into them opening a store called Slauson Tees in a strip mall on that same corner. The store eventually became The Marathon and soared in popularity. 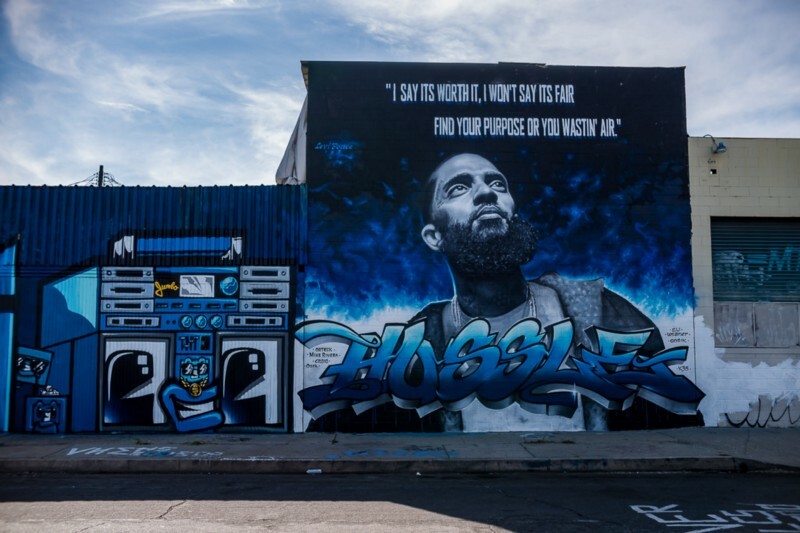 Still, Nipsey remained dedicated to the community, often hiring people from the neighborhood including the formerly incarcerated because they often couldn’t get honest work elsewhere. Most recently Nipsey opened up Vector90, the first modern co-working space in SouthLA, located just off Slauson, between Van Ness and Western. It’s a couple of blocks away from Harvard Park, which has been described in the media as one of the most dangerous areas in LA. But for me, Harvard Park was a place of nurturing and growth. It’s the park where I learned how to play tennis when I was growing up. I still play there on occasion. It was clear from his trajectory that his work wasn’t close to being finished. For all that he accomplished in his 33 years, it seems like he was just getting started. He often spoke about the “Marathon” because his goals couldn’t be achieved with a quick sprint. He was a long term thinker who encouraged anyone listening to adopt a similar mentality. Nip recognized that when you apply hard work to a clear vision, the benefits compound over time. He knew that viewing his work as a marathon was the best way to realize his dream. Though we shared a lot of mutual friends, I never had the opportunity to meet Nipsey Hussle. Still, I feel like I lost a brother who was walking down the same path toward similar goals. All the while he remained true to himself and his community. Rather than using the money he made to buy assets in affluent areas, he first doubled down on investing in his community because he knew it would inspire others to do the same. It worked. 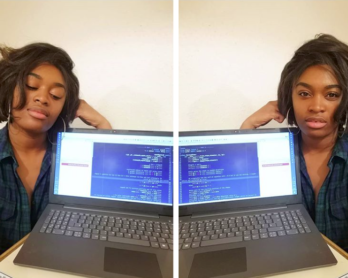 I hope to do the same. This all I’m tryin to do, hustle and motivate. My prayers are with Lauren London and the family Nipsey left behind, especially his beautiful kids. I hope they grow up with a deep sense of pride about what their dad stood for.